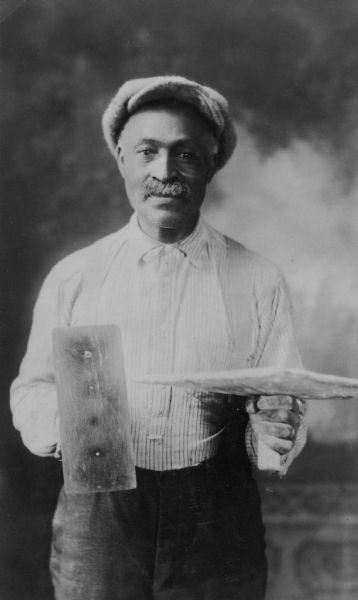 Portrait of Henry Mathews, 1866-1941, an early African American resident, holding the tools of his trade in front of a painted backdrop. He was a stone mason for many years. For other images of Henry Mathews, see Image ID's: 89230 and 89231.